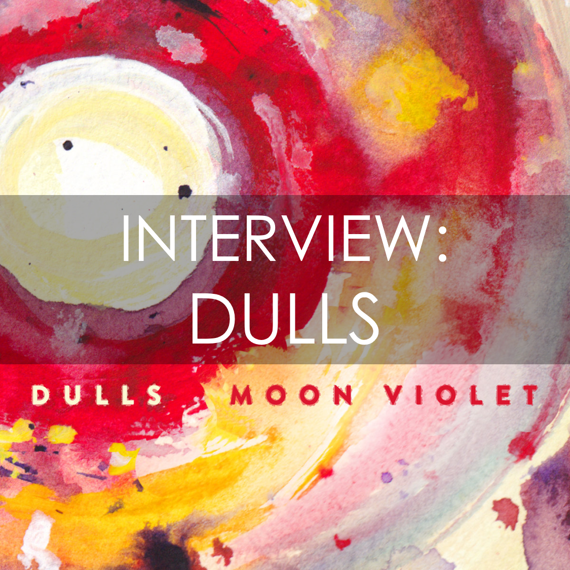 Your resource for all things shoegaze and dream pop: INTERVIEW: Evan Raab of Dulls. I guess I'm proving my previous point here—we’re big on fuzz and reverb. The main pedals I use are the Electro-Harmonix (EHX) Cathedral Stereo Reverb and the EHX Big Muff Pi Fuzz. I like the just-chaotic-enough sound the Big Muff Pi can get for our more noisy parts, while also being tame enough to fit our more pop-oriented parts. Erica isn’t as big of a pedal nerd, but she uses the EHX Metal Muff Distortion, which lets us have tones that are diverse yet close enough that it doesn't sound too jarring. Kirk relies on the EHX Deluxe Bass Big Muff and the EHX Holy Grail Reverb, so he fits right in, but keeps a warm, full bottom end. We’ve been letting other people do it for us. Our first release was recorded (aside from the vocals) in a single day at Brad Wallace Recording, and Kirk mixed it. 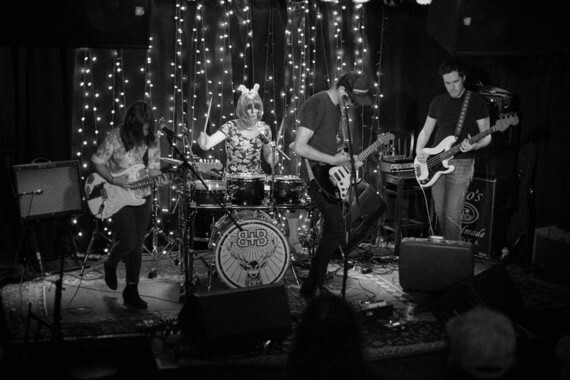 Moon Violet was recorded during a weekend escape at John Cep and Kim Field’s house (they’re in a band called The Stargazer Lilies), which is located in a pretty secluded wooded area. That tape was also mixed by John. It was really helpful for us to have that perspective from someone outside of the band, and Pro Tools has been a great asset for us. I think my outlook aligns with many other artists. Of course the ability to download and stream music has curbed industry profitability, but at the same time you have an unprecedented avenue for exposure. I’ll never run out of new music to discover. And having your music available to anyone with a phone or internet connection just makes us all the more humbled when someone wants to purchase a tape or download. We’ve only self-released our music. If any labels want to help out with the next one, drop me an email at dullsphilly@gmail.com. I guess the cool answer here is “vinyl” and “cassette”. Most of us collect vinyl—Erica has the most impressive collection. While I’m not someone to argue the quality of sound between formats (FLAC or bust), I will say that I hate the concept of “phone djing” at a party which only leads to long pauses of dead air, arguing over who gets to put on a song next, etc. With vinyl you pick a record and just flip it when it’s over. You also get to enjoy the whole album that way, rather than going through singles. While the four of us all enjoy the same types of music, our main influences are very much in their own worlds. I personally love the classic shoegaze outfits, Slowdive, MBV, etc. But for guitar playing I’m very into the harsh biting tones of The Telescopes. We all adore Smashing Pumpkins and Sonic Youth, which have been unifying sounds for the band. Will people judge me if I like Jonathan Franzen? I also personally love Noah Baumbach movies. As a band we have almost a second language when it comes to quoting The Simpsons and Peep Show. “New Dream” encapsulates our sound pretty well. A bit slower than the rest of our music, but it has our lighter touch, our love of noise, and need for hooks. Usually I’ll come up with a riff or chord progression and bring it to practice. We throw ideas at it and see what sticks. Kirk and Jack are pretty great at coming up with what the song needs right on the spot. Erica and I will usually meet up on our own and try to come up with lyrics together. Don’t trust anyone over thirty. Except us. Great review and interview. Thanks for this.